October 19, 2012 balenciaga, nicole kidman, red carpet, Remember this? 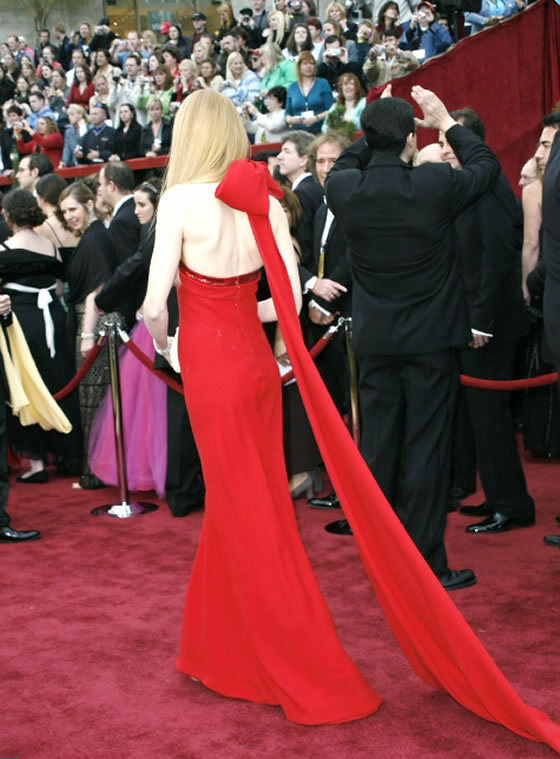 In 2007, at the Oscar ceremony, Nicole Kidman showed up with this beautiful Balenciaga dress. Since then is considered one of the best looks of the actress who already had several appearances on the red carpet. The dress was so successful that comes to be elected as one of the most memorable dresses used in the event. Personally I believe that in fact it is one of the most fashionable dresses at the Oscars and Nicole Kidman has the ideal figure for such a dress. In fact this could have been a fiasco if used by someone else, but in Nicole´s body was the icing on top of the cake. Etiquetas: balenciaga, nicole kidman, red carpet, Remember this?